Solihull Canoe Club is based on the Grand Union Canal in the village of Catherine-de-Barnes in the West Midlands. (Find Us) The Club is a registered charity with the aim of encouraging people to try canoeing and kayaking as well as promoting the sport of flat water racing, both marathon and sprint. We meet almost every Saturday, in the morning for the racers and in the afternoon for the recreational paddlers. We are affiliated with the British Canoeing and have BC qualified and trained coaches.The club has links with various schools, and youth organisations in order to encourage people to take part in and enjoy canoeing. We have over a hundred members, of which around a third are under the age of eighteen. Taster sessions are provided for beginners from April to November and generally take place on the first Saturday afternoon in the month. Cost is £10 per person. Please contact us in advance to book a session, because we need to know that we have sufficient coaches available. Afternoon sessions are generally from 2.00 pm to 4.00 pm, but in the colder winter months start and finish half an hour earlier. No special clothing is required; sweatshirt and tracksuit bottoms worn with a pair of light trainers or plimsolls are adequate. 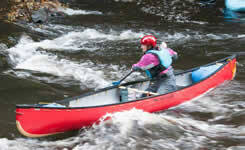 Paddlers should bring a cagoule in case of poor weather, a towel and a complete change of clothing. Please do not bring valuables if you can avoid it. We have basic facilities which include a male and female changing room and our new toilet and washbasin. If you enjoy paddling at Solihull Canoe Club, then membership is £40 for Juniors and £50 for Adults for the year up until 31st May 2020. For family membership it is £105 for a family of three, £125 for four and £140 for five or more. Persons who join halfway through the year get a 50% reduced rate. 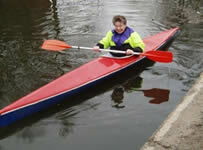 You will then be able to paddle at Solihull Canoe Club during the year with no additional payments. As a canal based club marathon racing has always been our principal competition discipline. The basis of our calendar is the 11 race series of British Canoeing Marathon Racing Midlands Region Hasler Trophy events for which we are geographically well situated (refer Calendar). These events include classes for three divisions at entry level racing over 4 miles with no hazards, three intermediate divisions racing over 8 miles and three top divisions racing over 12 miles both often including portages around locks or other hazards. This comprehensive range of classes allows paddlers of all ages to enjoy a very family orientated sport with all abilities from novices to international representative paddlers competing at the same venue. At the end of the series which runs from September to August teams from the top 6 clubs from the 18 in our region are invited to compete in the Hasler Trophy final against the top clubs from the other BC regions and we are proud to record that we usually qualify. Paddlers compete in single or double kayaks and canoes and our club has a comprehensive selection of entry level craft to facilitate new members trying the discipline. The Marathon Racing Committee also organises a National Championship with trophies for individual paddlers based upon age and gender and for club teams. Running alongside the Hasler Trophy events are a series of races for paddlers under the age of 12 competing in the Lightning, a one design junior single kayak, and in junior double kayaks with separate classes for girls and boys in age groups under 10 and under 12. Points are awarded towards an inter-club trophy dedicated to our founder president Geoff Sanders. Paddlers from our club also compete in the famous 125 miles Devizes to Westminster race over the Easter period and a variety of other long distance races. For full information see www.canoeracing.org.uk/marathon. Sprint racing one of our 2 Olympic disciplines. 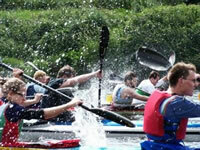 Race over 200, 500 or 1000 metres in 1, 2 or 4 man kayaks or canoes. We have former Internationals, top men's A paddlers and some very promising young hopefuls. Regattas are a sociable weekend of exciting racing and plenty of trade stands to buy kit from. There are 5 national events which have qualifying times and some local events which do not Contact Andy Cook, Head coach and sprint team leader for more details. The Club runs an active leisure and touring programme including regular trips designed to cater for a wide variety of interests and abilities. Typically these range from days out on local rivers and canals, through to whitewater and longer summer weekend camping trips. In the recent past we have run trips on the Severn, Wye, Avon, Derwent, Penk, Trent, Soar and Tame as well as further afield visits to North Wales and the Nene Whitewater Centre. In addition we provide a training session once a month for both new and established members. See the Calendar page for further details. 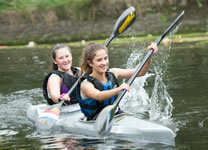 Each of these sessions is delivered by one or more of our own British Canoeing qualified coaches. Do you shop online? 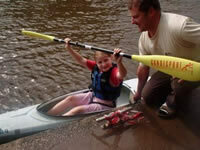 Did you know that every time you buy something you could be raising money for Solihull Canoe Club? It’s like Nectar but instead of earning points, each purchase generates a donation. So instead of going directly to a retailer’s website, go to easyfundraising first and choose the retailer you want to shop with – then everything you spend with that retailer earns a free donation for Solihull Canoe Club. It’s completely free to use and your shopping won’t cost you a penny more. So whatever you need to buy, from your weekly grocery shop or fashion must-have, to your business travel, office supplies or mobile phone, buy it via easyfundraising and raise money for Solihull Canoe Club at no extra cost to you! Please register to support Solihull Canoe Club when you shop online.